When you are camping or hiking it goes without saying, you’re going to get hungry and thirsty. We have talked about clothing, shelter and hygiene in past articles; all of which are necessary to maintain our external physical viability, to keep our outsides healthy. But it really is of little use unless you also fuel the body. All the activities of camping, hiking, setting up camp, cooking, foraging, fishing, etc require energy. The human body is one of the most efficient machines on earth. Converting human energy consumption to that of an automobile it would be like getting 900 miles to the gallon. But at some point we all need sustenance and hydration; we need food and water. Hiking and camping have their own sets and degrees of difficulty when it comes to food and water. In both cases the question of weight and space are an issue and even more so when hiking. You are not going to be able to bring Martha Stewart’s or Tyler Florence’s kitchen and sub-zero freezer with you. When considering what food to pack, well, that will depend upon whether you are car camping or hiking. If you are car camping you might be able to bring a good sized cooler with milk, juice, eggs, cheese, meats, fresh veggies and fruits. 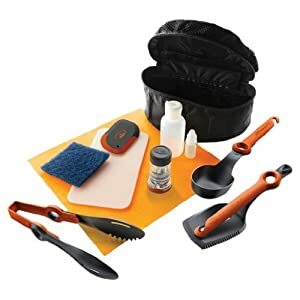 You will also have a good sized mess kit with most of the plates, forks, knives, spices, cutting boards, spatulas and spoons that you might have available at home. If you are hiking you might have a smaller scale setup at a base camp which you will come back to, but what you will need to eat and drink will have to be more easily transportable and you will spend less time at your base camp. Some things to consider in either case are sporks such as the light my fire spork which will lighten the load while maximizing usefulness. 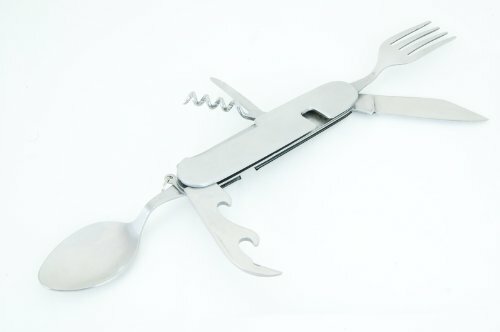 Alternatively a folding utensil set will provide a knife and other tools. 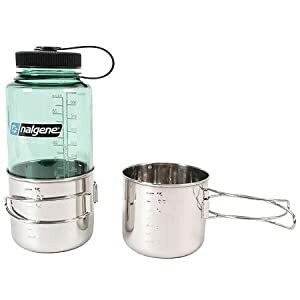 Also some collapsible food preparation utensils and a salt-n-pepper shaker can add some spice to food which might be a moral booster when hoofing it through trails. Power Bars and Beef Jerky or Slim Jims may be eaten on the go. 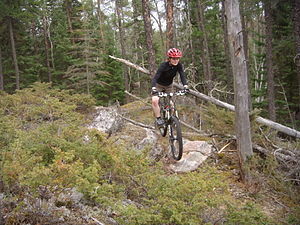 Power Bars provide some quick energy while the Beef Jerky or Slim Jims will provide protein for slower release energy. 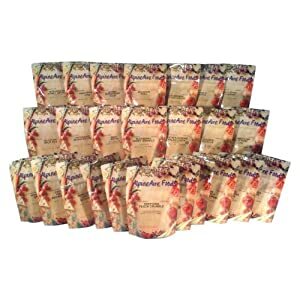 Meals Ready to Eat, MREs, are freeze dried foods packed in their own pouches which may be used by hikers or in the event of an emergency to provide a quick meal just by adding boiling water. AlpineAire, Moutain House and Wisefoods are some good options. Granola, Dried fruit and Nuts (Trail Mix) provide fiber and vitamins the body needs. Oat meal (instant), corn meal and rice are staples around the world that travel rather well and are non-perishable. Some Bisquick and dried blue berries could be used for pancakes or bread. Don’t forget the Mac-n-cheese. At some point you are going to want to cook your food, boil water or just have a nice fire to warm up. The first piece of equipment to consider is a stove. Stoves will either use butane/propane, white gas/alcohol, solid fuel or wood. 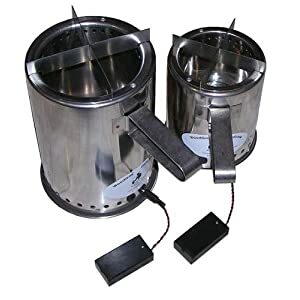 The butane and propane stoves tend to be lighter and smaller but you have to contend with spent canisters which cannot just be disguarded and neither can they be filled easily and reused. 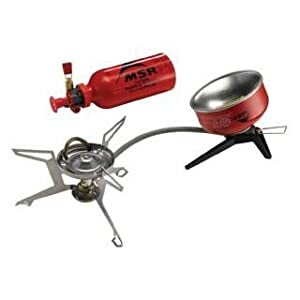 The MSR Wisperlite/Simmerlite stoves can not only use white gas but can use regular gas in an emergency. Additional white gas may be stored in a metal drinking bottle in your pack. The Simmerlite has the added advantage of a mechanism to clean the generator by shaking the stove or if it becomes clogged it may be easily serviced, this becomes more of a concern if you have to use unconventional fuels. 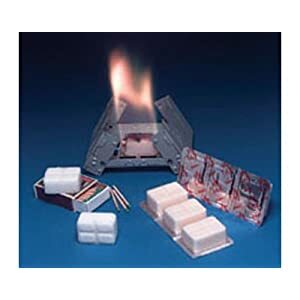 The Esbit stove uses hexamine or trioxane solid fuel tablets. The solid fuel stoves fold up well and the tablets provide an efficient cooking fire if shielded from the wind. Another option is the wood gas stove which double burns wood converting it into a gas with a ten fold increase in efficiency, they are more bulky but since fuel is wood which may be readily found you do not have to carry fuel which is more of a concern on extended outings. I have a two burner Coleman white gas stove for car camping which my parents used when I was just a baby and it is still going 30+ years later. 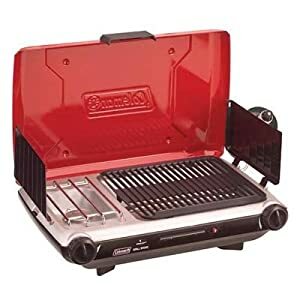 You can still get white gas double burner stove but modern versions of the car camping stoves use propane, have grills, burners and electric start options. 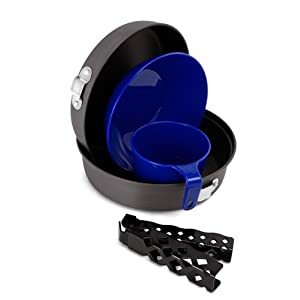 You will also want a packable mess kit. Depending upon pot size the smaller stoves might be nested in the pots for protection. 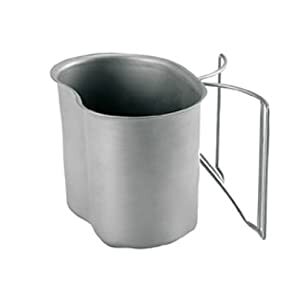 GSI Pinnacle and MSR Flex are good nested pot, plate and cup designs which minimize weight and pack space. 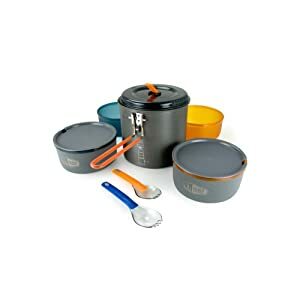 Another option which I am currently using is the GSI Outdoor extreme cookset but I have replaced the cup and bowl with two Sea to Summit X Mug / X Bowl sets which nest in the pots along with my wisperlite stove. Its fine to have a stove but you will also need to start the fire or all will be for nothing. At the very least you will want a lighter and a fire steel as backup. I have found that butane lighters can be hit or miss and tend to be touchy and less rugged. I’ve had one Colibri that lasted 5 years, clogged a couple times but made it through a wash cycle. Since then I’ve gone through 5 that constantly clog and seldom work. 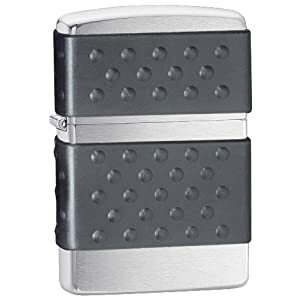 A Zippo lighter uses standard lighter fluid which is widely available and they tend to be more rugged even working after having been dropped in a mud puddle. However I have found that the light fluid can evaporate relatively quickly from a Zippo. 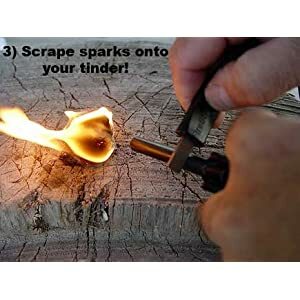 As a backup a fire steel produces sparks when scraped and requires small pieces of fiber or wood shavings as tinder. Once the small tinder is lit larger pieces of tinder have to be added and the fire built up before sticks and then larger pieces of wood may be added to the fire. You need to stay hydrated while camping and hiking. If you are car camping or setting up a base camp you will likely bring a large jug or several gallons of water which you can purchase from any grocery store or fill up gallons from the faucet at home. If you are backpacking or hiking carrying gallons of water is prohibitive. There are several options including water bladders, bottles or canteens. Bladders require a pack to hold them and water is provided through a tube and bite valve. 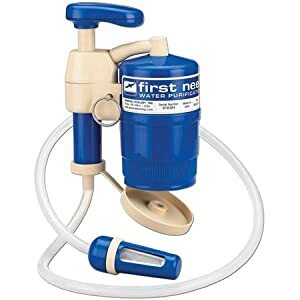 I’ve found that cleaning and filling them can be a bit of a pain and I am not personally that big on bite valves which make the solution more single user. An alternative is the MSR Dromedary which has several adapters such as a spigot cap which allows it to double as a faucet or shower making it multi-functional. 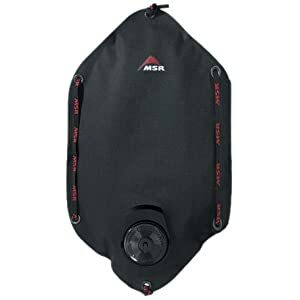 Most backpacks have side mesh pockets for water bottles which are great for storing water. 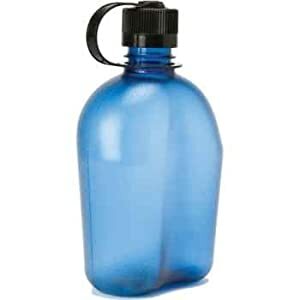 On extended backpacking trips or even extended backwoods camping you will not be able to carry all the water you will need. So you will either have to find a supply of clean water or you will have to use the water you find in nature. The problem is that the water found in nature will likely contain natural pathogens such as bacteria and viruses that can make you sick and due to ground minerals and the industrial revolution it can contain pollutants such as lead, arsenic, pesticides or other chemical which can have harmful affects. If you are going to use the water you find in nature you are going to have to treat it. Water treatment has two categories, purification and filtration. Filtration generally removes pollutants and some larger pathogens. 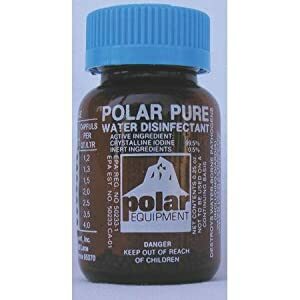 Purification either kills, renders inert or removes smaller pathogens. 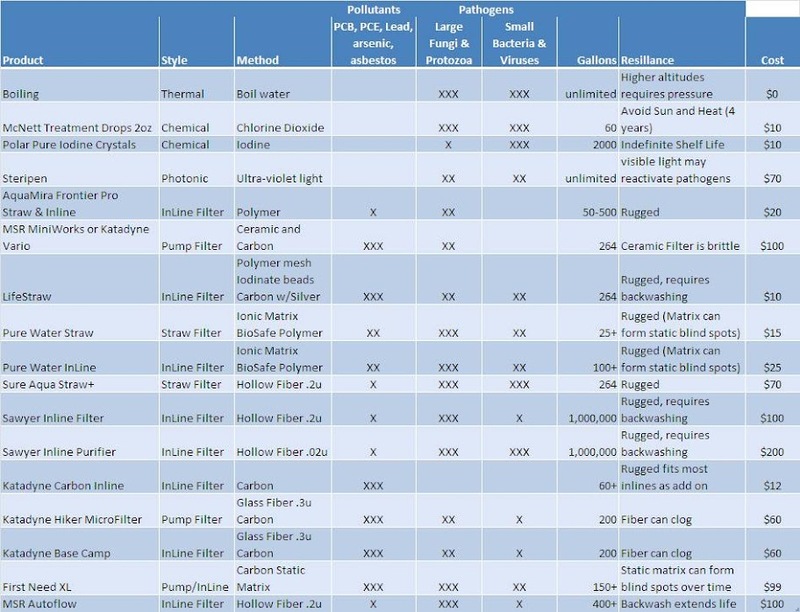 The table inserted below covers some of the water treatment options. In the past decade there have been advancements in personal water treatment as socially conscious companies have worked to create products that may be used in the “Third World” to provide clean water for families. One note worthy option is the Life Straw which has been distributed in Africa and more recently was distributed to children in Haiti after the earth quake. These more contemporary filtration devices not only filter but provide purification by either using chemical impregnated filters to kill viruses and bacteria or membranes whose pores are so small that viruses cannot fit. 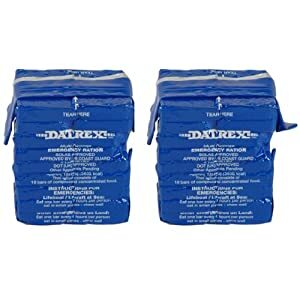 Most off the shelf filters though use polymers or ceramic to filter larger pathogens to log 3 or 4 levels and some add carbon to filter out pollutants. These off the shelf filters must be partnered with chemical or thermal methods to kill the smaller pathogens. The filters fall into three categories; pump, inline gravity or straw. The straws are a good survival tool for individuals but are not good for groups or for filtering water for storage and transport. You will likely want a pump or inline gravity filter such as the First Needs XL or Katadyn Base Camp to filter larger amounts of water for a group or family. The Sawyer inline or MSR Autoflow water filters should be augmented with a carbon filter to remove pollutants. 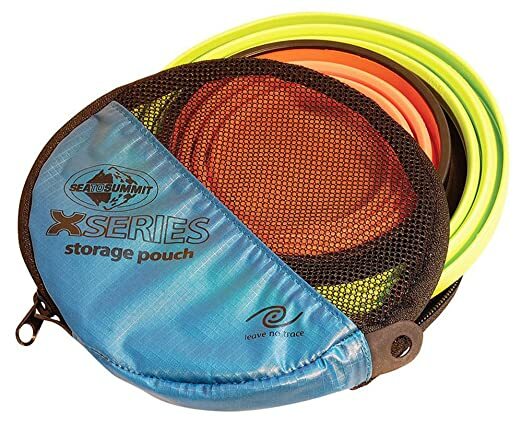 The First Needs XL water filter is the first water filter to be independently certified by the EPA to remove bacteria and viruses and though a little on the larger side has a stuff sack that doubles as hanging water bag and allows the filter to be converted into an in-line filter for larger groups. Once you have purified and filtered the water for your family and stored it there is one problem that many of the sites overlook and that is keeping the water preserved. 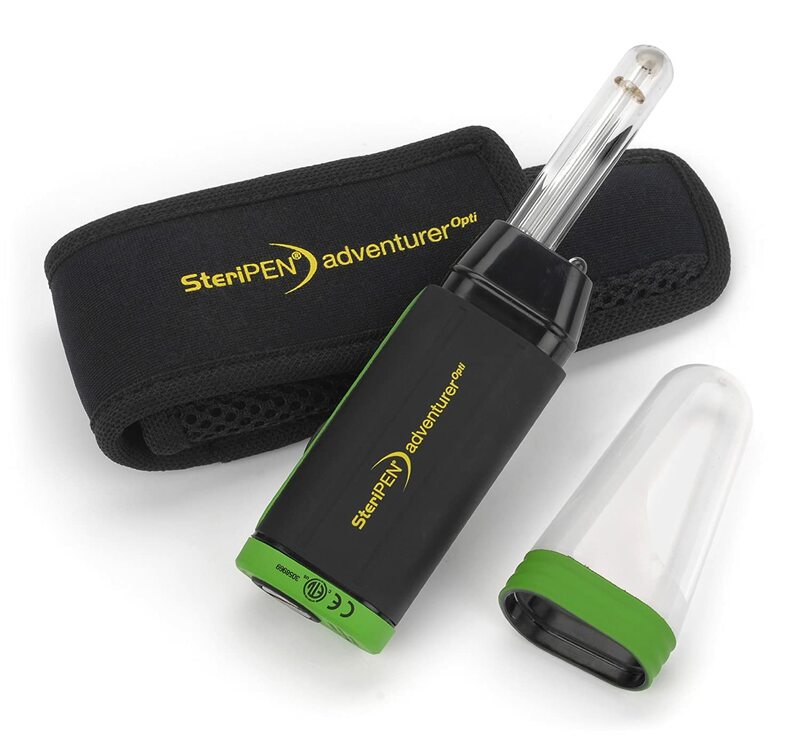 As you open the cap and drink your own lips will add pathogens, dust, pollen, water sitting on the lid, etc can all add pathogens back to the purified water. If you purified the water using chemicals and then filtered the water to get the chemical and pollutants out of the water (which is a good idea as the chemical purifiers are too concentrated for long term health) then there is nothing in the water to keep new pathogens from colonizing. 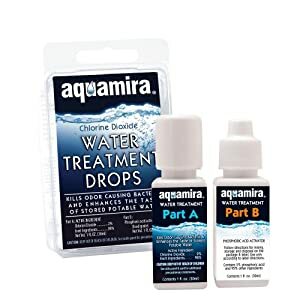 Even if you have a Inline Purifier you may want to add a small amount of treatment drops (a fractional dose) as a preservative to your stored water. 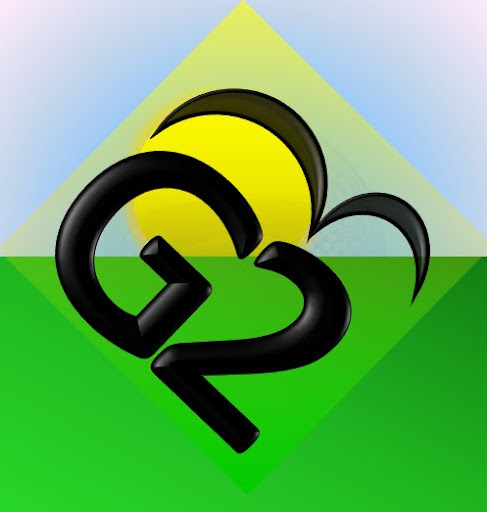 howdy, quality wordpress blog, and a good understand! one for my bookmarks. site on my iphone during lunch break. I really like the knowledge you provide here and can’t wait to take a look when I get home.